Posted July 17, 2013 by grohling & filed under Archive. 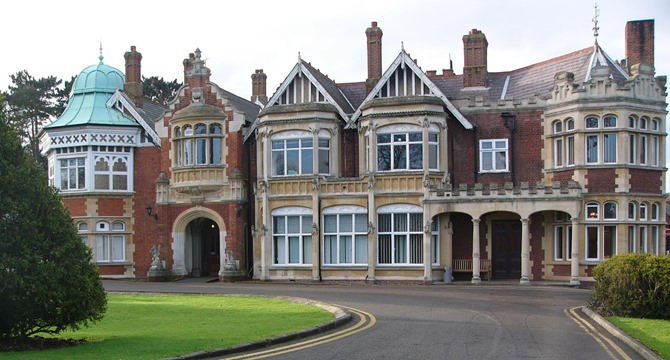 Once Britain’s Best Kept Secret, today Bletchley Park, Home of the Codebreakers, is a heritage site and vibrant tourist attraction. Visitors can explore and experience the top secret world of iconic WW2 Codebreaking Huts set within the atmospheric Victorian estate nestled in a microcosm of Buckinghamshire countryside. Discover the secret world! Exhibitions available include The Life and Works of Alan Turing, the only reconstructed Bombe machine and the largest display of Enigma machines on public display in the world. Visitors can enjoy a full day at Bletchley Park with a tasty hot and cold menu available in Hut 4 cafe, a playground where children can let off steam and a souvenir gift shop without which no visit is complete. The Mansion, Bletchley Park, Milton Keynes MK3 6EB but full details will be sent to those who have booked shortly before the event.